The Great Communicator he wasn’t. I’ve always been impressed by President Obama’s ability to deliver a stirring speech. 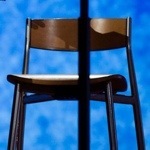 But the first presidential debate between him and Governor Romney put the President in the worst possible light. I really got the feeling he didn’t want to be there, and that he wasn’t all that prepared. There were no major gaffs by the President, though I did think the time when he asked Jim Lehrer to change the topic was about as close as it gets to asking Regis to Phone-a-Friend. Romney on the other hand, was more aggressive than I’ve seen him. He looked like he was ready to pounce, loaded with ammunition, and willing to use it. I don’t think the President was prepared for this. I think he thought he and Romney would both give stump speeches, highlight their differences, and move on. But the Professor took a beating from the Millionaire while their wives and millions of others looked on. It never got nasty, but it did the one thing the President was hoping to avoid. It made Romney look presidential, and made the President look like an empty suit. Hi again, Chris. Nice concise post. It’s just so interesting, and so telling, to see them characterize the VERY SAME THING so oppositely. I think this is the starkest presidential choice between two completely different ideologies that we’ve had since Reagan/Carter in 1980. I agree with you, Jeff, on a number of things. It is indeed interesting that the President and Romney are so diametrically opposite in their views of private enterprise, and that, I feel is the crux of the issue this election cycle. Have you noticed, as I have, over the last four years that the President always, ALWAYS turns to government to solve whatever problem is looming? I think it will be interesting to see how Romney backs government off and allows private enterprise to do what it does best, work through difficulties on its own, with minimal interference from government. I also agree with you on the stark contrast between the candidates. It is truly, as Romney has pushed in his campaign, a choice between two competing views of the future of America. Yes I have noticed that the President thinks the gov’t is, and MUST be, the center of everything. When he talks about jobs, he may “generally” speak of small businesses because that’s a catch phrase. But when he starts to specifically list jobs that he’s “created or saved”, listen to his list: teachers, auto workers (union jobs), green jobs, etc. All of these are members of the broad Democratic coalition.